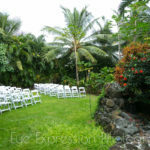 The Kona Planation is a great location for a wedding in Hawaii. Located just a minutes from the beach and surround by lush gardens, fruits trees, and amenities. Two two-story houses can hold you and your family members, making it a great location to not only get married at, but also to spend time together before the wedding. The property has a swimming pool, a tennis court, and a covered pavilion for your reception. There are beautiful lawns behind each house, making for a great wedding location. 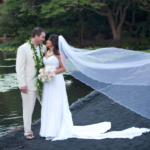 There are palm trees throughout the grounds making for great Hawaii Wedding photographs. And if you want photos on the beach there are several very close by. 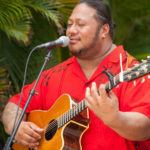 Please let me know if I can help you as your wedding photographer in Hawaii.